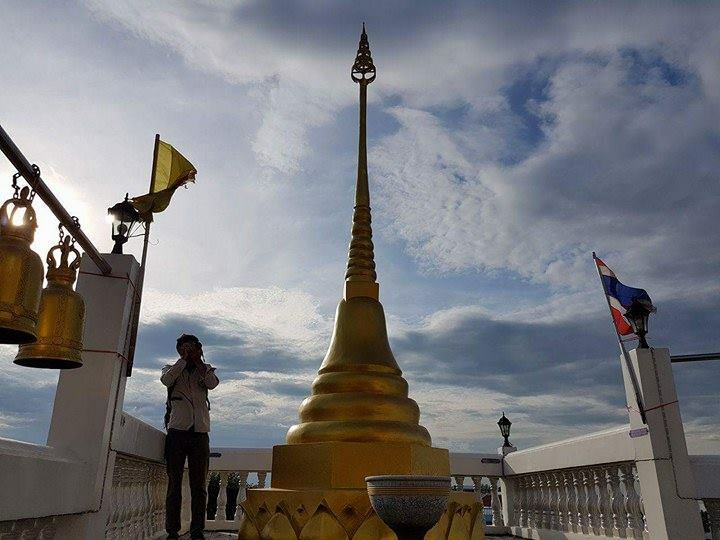 Welcome on www.temple-thai.com, a website dedicated to temples and religious places in Thailand. Let me first introduce myself. My name is Loris Curtenaz and I am joyfully beginning in my thirties. 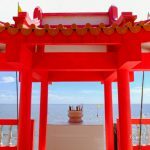 During a fourteen-month trip in Thailand, I have visited more or less 1500 temples in 67 provinces to create this website. Since it is a full-time work that kept me busy for more than two years, I would like here to introduce the mains ideas and goals behind this project. How come did I decide to start all this? Well, that question would probably remain unanswered, but I can tell you a bit of my story. I arrived in Thailand for the first time around 5 or 6 years ago, first doing internship and then working as a freelance journalist. I lived in Bangkok, in Ladprao area. During the first two years, coming from a village in the south of France, I was more impressed by skyscrapers and street food than by Buddha images. I also rarely visited touristic spot and it hasn’t changed. As of today, I still haven’t been to Phuket, Koh Phi Phi or Koh Phangan! Even temples were not of particular interest to me. Of course, I had visited Wat Phra Kaeo (วัดพระแก้ว) or Wat Pho (วัดโพธิ์), but except witnessing that these temples are beautiful, nothing particularly catched my attention at that time. Since I arrived in the kingdom, I took Thai language classes. Without being very serious about it, at least I learned the basics and how to read. After staying around two years and a half in Thailand, I went back to Europe and started a Master in Asian Studies at the University of Geneva and the Graduate Institute, in Switzerland, my birthplace. These studies gave me the chance to be introduced to Mandarin and having classes on many topics and disciplines. After more than a year, I went back to Thailand for an internship. And then something changed. I started to see Thailand and Bangkok on a new light. For example, I started to notice a lot of Chinese characters on buildings and in temples. In other words, as strange as it sounds, my interest began with Chinese temples and shrines! You would be surprised that there are so many of them in Bangkok, more than one hundred. 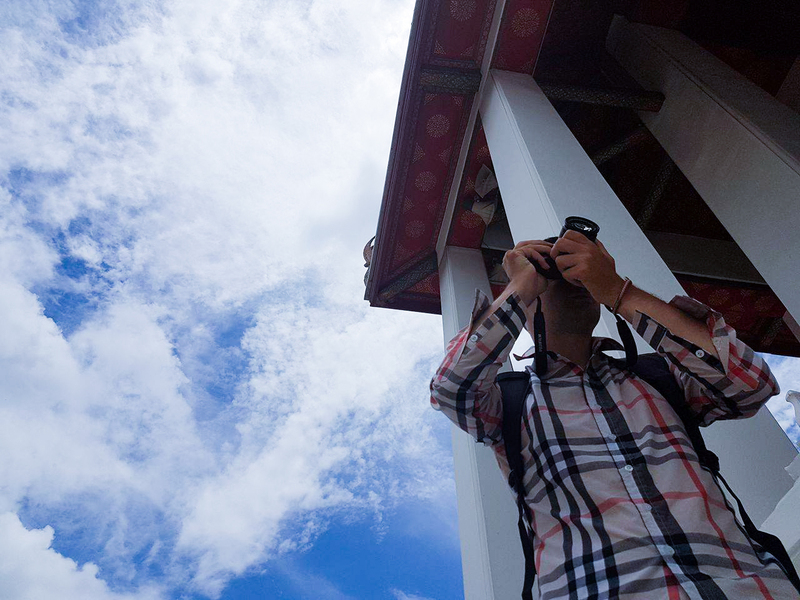 By learning step by step about the culture, history, language and exploring by myself this endless city, my interests about Buddhist monasteries grew rapidly after discovering beautiful and quiet ones without any visitors, let alone tourists. Then one night, I woke up suddenly with the thought to set up a website about temples in Thailand! I wanted to do something that would satisfy my own curiosity while helping and encouraging people to go out of their comfort zone and understand more about the culture. And that’s exactly how the process started. I knew how to write (at least in French), I had a journalist experience, I could read Thai language, which would become very helpful, and I had time since my Master degree was coming to an end. All I needed to do is to do it. Since the beginning, my idea was crystal clear. I wanted to do a website with enough informations and pictures to highlight the incredible diversity of temples in the kingdom. I wanted to do something big. I wished to present famous places but also highlighting small and remote temples in provinces that never see any visitors. Of course, temples that you can see on the website are not there by luck, except a few. Since there are more than 30 000 Buddhist monasteries in Thailand, I could not visit all of them even if I could afford it or wanted to. I had to make a selection. While writing my Master thesis, I started to make a list of temples that I should visit. I planned at first to list around 1000 of them, but after five months of hard work, I ended up with a list containing around 3000 temples… That was a bit too much, so I reduced it to 2000. How did I select temples? While starting to list them, I observed that there were a lot of differences, so one the main criteria was originality. But what interest me the most are some specific characteristics, for example a sacred Buddha image, a spiritual importance, a historic dimension, a famous abbot, important and original mural paintings, a flamboyant architecture, or simply a temple on top of a hill with a nice view. Basically, a characteristic that make one temple stands out. Well prepared, I now had a list, a new camera (Fujifilm X-T 10) and time ahead of me. 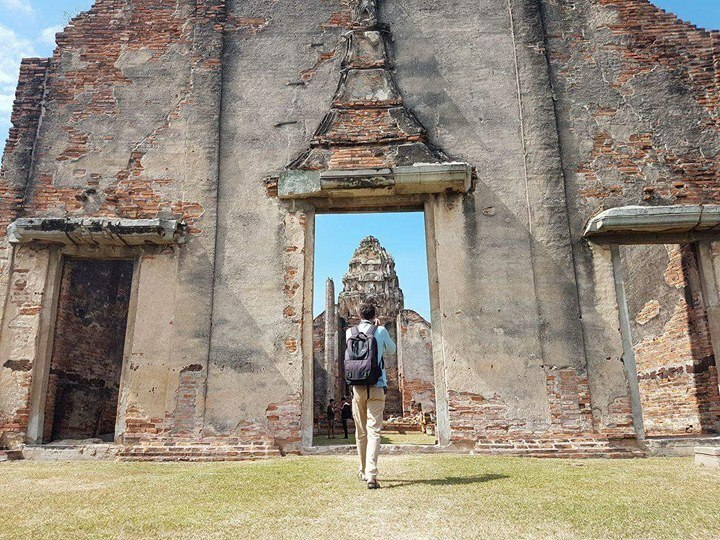 Starting in Bangkok from the end of August 2016 to November 2017, I visited around 1500 temples in 67 provinces in the next fourteen months, riding along the way a scooter rather than renting a car because my budget was very tight. 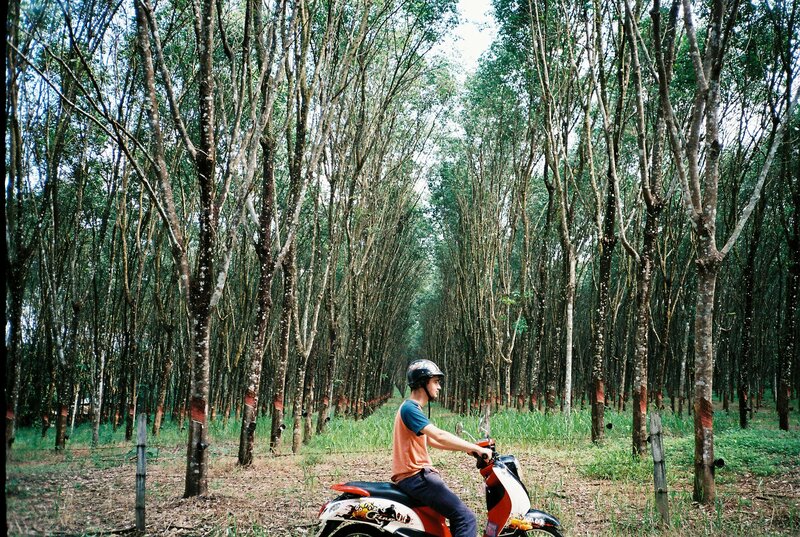 I have ridden a scooter for more than 35 000 kilometers, on the most dangerous roads in the world. I almost died ten times and avoided buffaloes, snakes, monitor lizards and dogs on a daily basis. While this adventure was intense everyday as you can imagine, my goal was still to visit temples and take pictures. A normal day started around 8 am or before. Each day, seven days a week, I visited 3, 4, 5, 6 temples or more, depending the distance to ride with my lovely scooter. Arriving at the hotel between 1pm and 5pm, I had to transfer pictures to my computer, create a new file for every temple to not mix things up, and start to write a first draft, in order to remember the most important details when I would finally write the final text, many months later. As I was taking a lot of pictures, sometimes more than 700 a day, I also had to reduce this number and select the best ones, which take much more time than I expected. My day was finally over when I had selected temples to visit the next day. A normal workday would last for 10 to 15 hours, most of the time seven days a week. Even though I exceeded my deadline to visit temples by five months, I haven’t visited yet the ten southern provinces, which is the reason that they are absent of the website for now on. 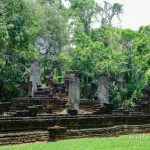 Moreover, I still have temples in many provinces that I wish to visit in the future, including Chonburi where I crashed my motorbike and had to come back to Bangkok. As you can see, most of the website is in French language for the main reason that it was more simple for me to write in my native language. The good news though is that a part of the website is now in English. You can find a few articles by clicking here. 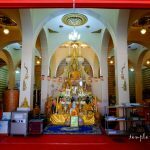 I will write more articles in the upcoming months where you will find more informations about buddhism or some specific temples, cities or regions. Moreover, I invite you to follow me on Instagram (@templesofthailand), where I introduce a new temple everyday in English. Hopefully the whole website might be translated in English in the future but for now on, every temple is introduced in French. Even though you might not master French language, you can still easily scroll and look at pictures and check where each temple is located. I officially launched the website in January 2018, presenting around 350 temples. As of today, around 800 are presented. I wished to make a website where there would be enough pictures to give a good idea how each temple looks, but also to describe and explain what is important in each temple. In other words, my intention is that you can read each description from home and hopefully decide to visit one place, and then read again the text on the spot to understand what you’re looking at. That seems a crucial point to me and that is the most time-consuming part of my work. I did not intend to show nice pictures and just encourage people to go there because it looks nice without giving much details. At the contrary, I envisioned to make people understand on a new light what they are looking at when they visit a temple in Thailand. Each one that I have visited is unique and deserved its own presentation. My goal was to set up a cultural and touristic guide, not to highlight my incredible journey or some specific destination where everyone goes. Hopefully this website would bring people to explore the kingdom with another mindset and keep their curiosity alive. I guess it is now time for you to explore the website and its 800 temples. Most of all, I wish that you have the possibility to explore some of them and that my website could help you in that matter. This long presentation ends here. Thank you for reading it until the end, you are valiant.